Large family home ideal for commercial bed & breakfast or Air BnB. Home has 9 bedrooms, 9 baths, 4 living areas, gourmet kitchen, office, 2 dining areas, butler's pantry, mudroom, craft room, 2 fireplaces, huge covered back patio, side patio with pergola, several storage buildings, gazebo, hot tub. 3 HVAC units, 2 fifty gallon water heaters with recirculators. Water filtration system on whole house. Large 1.63 acre lot. Property is on a corner lot with concrete circle driveway 2 cars wide. Side driveway to 2 car garage. 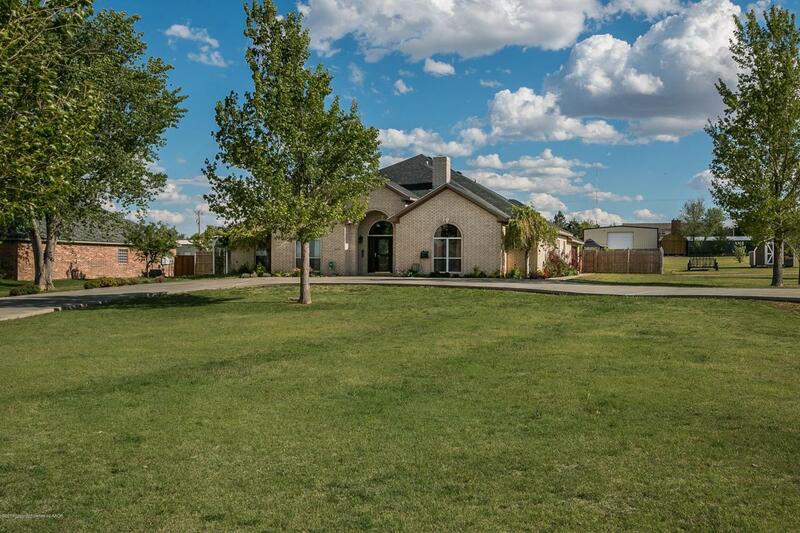 Located in desirable school district, near the medical district and 5 minutes from restaurants & shopping on Amarillo's West Side. All yards have sprinkler system. 2 septic tanks, private well. No HOA. Listing provided courtesy of Christine Price Ufford of Berkshire Hathaway Homeservices Anderson Properties.